PROVINCIAL GOLF TOURNAMENT -There is a block of rooms held for the Tournament at the Canalta Hotel, Kelly Ann's Hidden Hilton Motel, Bear's Den Motel and Stardust Motel. See below.When you call to reserve your room, tell them that you are attending the Elks Golf Tournament. The golf tournament will be in a 4 person Texas Scramble format. As this is meant to FUN tournament we ask that you enter as an individual but the entry form will give you the option, if you would prefer, to choose the 1, 2 or 3 people you wish to golf with. The four person teams will be made up from the entries received. The tournament is open to the public so you do not have to be a lodge member to play, so bring a friend if you would like. There will be a Courtesy Vehicle available all weekend. There is a limited number of motorized golf carts available to rent from the golf course so we encourage you to book your cart early by calling the Rock Creek Golf Course (after May 1st) at 1-306-297-6366. If we know the number of carts needed early enough we can try to arrange for more to be made available! The rental cost for the weekend is $30.00 per person. If someone does not want to golf but wants to come to the supper and entertainment on Saturday, the cost is $25.00. Please send your pre-registrations to the Shaunavon Elks Lodge, Box 1386, Shaunavon, Sask. S0N 2M0. If your Lodge would like to sponsor a hole, send this information and cheque along with your registrations. Cost of this sponsorship is $100.00 per hole. If you would like more information, please contact Brother Andy Cox at 1-306-297-8486; Brother Nelson Scribner at 1-306-297-7633; or Brother Kyle Stevenson at 1-306-294-7780. The Tournament will be held at the Rock Creek Golf and Country Club at Shaunavon, Sask. The course is located 2.5 km's west of Shaunavon, just off highway # 13. Courtesy Vehicle will be available all weekend. We look forward to welcoming you all to Shaunavon. There are lots of other activities in the area to take in after our golf weekend, Why not plan to stay longer than the weekend? 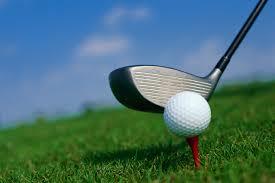 Contact Rock Creek Golf Course 306-297-6366. If your Lodge would like to sponsor a hole, please send this information and cheque with your registrations, The cost of sponsorship is $100.00 per hole.